Today, your guide through the Crucible, Inka the Spider (who you can meet here) gives you deeper insight into her own House as she journeys deep into the boisterous biomes of House Untamed. 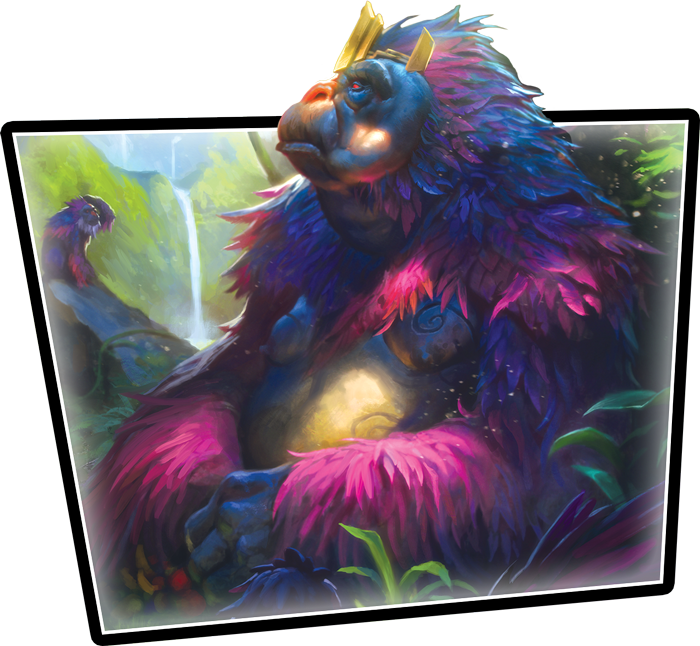 “Niffle, Niffle, Niffle” by Daniel Lovat Clarke, the sixth piece of fiction for KeyForge: Call of the Archons, is now available for download here (5.9 MB)! Inka the Spider takes on what may be her most dangerous case ever when a pair of Logotarians hire her to observe the behavior of the dangerous Niffle Apes of House Untamed. Her mission is to discover whether or not these creatures are at least as intelligent as lower beings, like humans, but in order to determine this, she may have to get a little too close for comfort. Will these creatures see Inka as nothing more than a snack, or will they recognize her as an intelligent being, an intruder, and a threat? Keep watching our website for more stories from the archives of Inka the Spider, and be sure to jump through the wormhole to the Crucible when KeyForge hits shelves in the fourth quarter of 2018! Pre-order your copy of KeyForge: Call of the Archons (KF01) and your collection of Archon Decks (KF02a) at your local retailer today or on the Fantasy Flight Games website here!